Obinna Makata uses fabric as a metaphor for cultural identity and evolving social values. His works create narrative associations that deal with quotidien issues in contemporary Nigerian society, including visa queues, abortions, and crowded work environments. 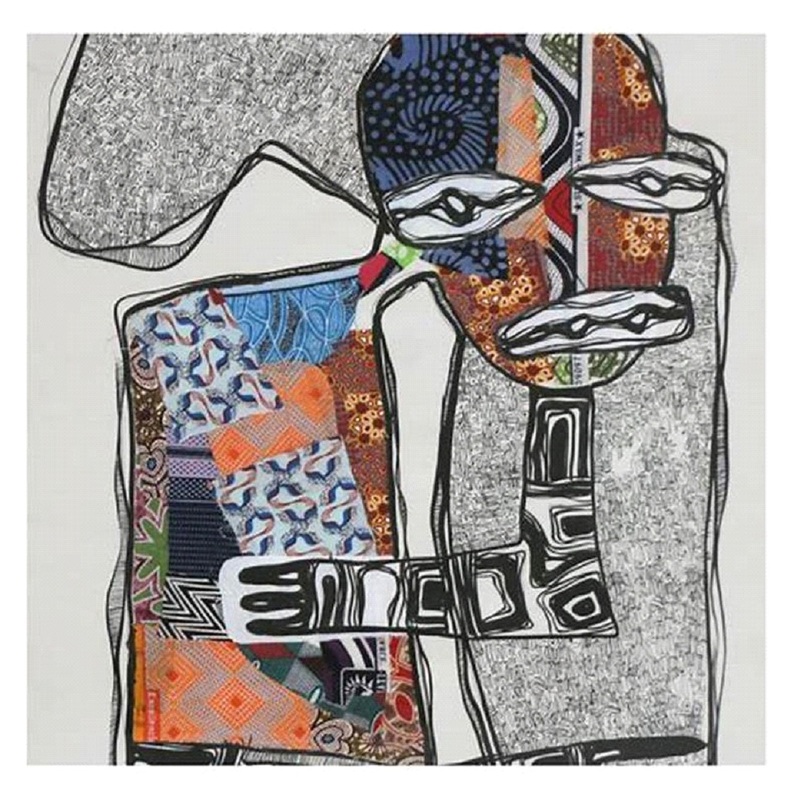 Crudely sketched with ink and acrylic, Makata combines scraps of Ankara fabric to form the bodies and backgrounds of his figures. Makata graduated from the University of Nigeria, Nsukka, in 2007, where he majored in sculpture. Makata is a full time studio artist who lives and works in Abuja and is the Founder and Creative Director of Mma-Nka Studio. 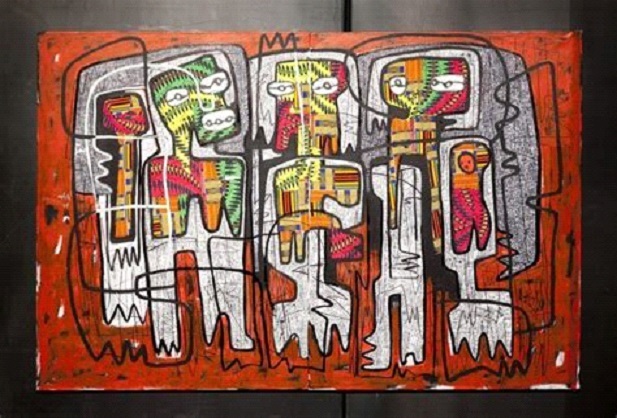 Recent exhibitions include Metahistories, his first solo exhibition at African Artists’ Foundation (2012); Nigeria Now: Emerging Trends of Contemporary Art in Nigeria, Miami, Florida (2012); Mediations, Amsterdam (2013) and Blank Canvas at Art Twenty One, Lagos (2013). Makata recently completed an artist residency at African Artists’ Foundation in 2013.